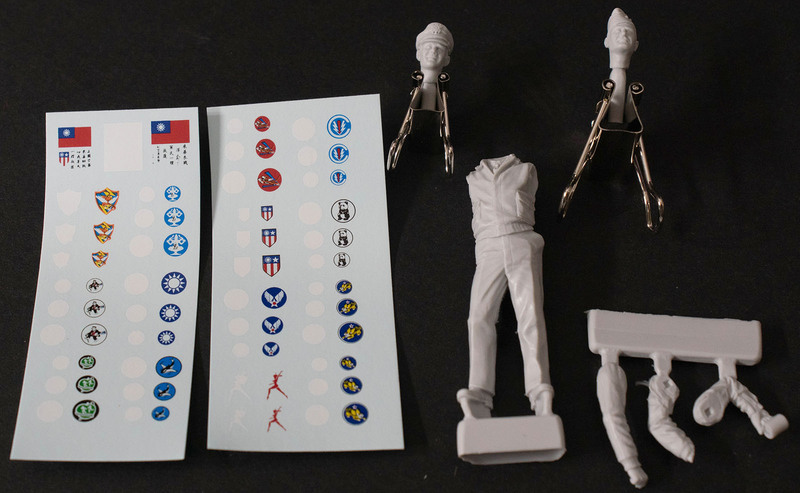 Pacific Monograph has released their second figure in 1/32 scale, this time a typical pilot uniform from the CBI (China, Burma, India) theater. This kit is cast in gray resin and as you can see in this parts image, the figure is wearing the standard USAAF khaki uniform with a leather pilot's jacket. 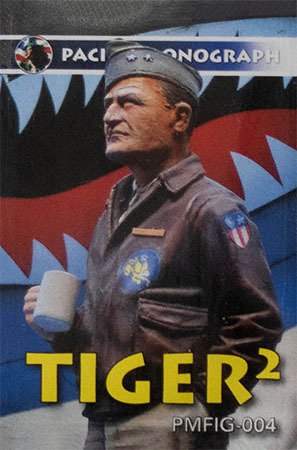 The figure is provided with two head options: 1) Tex Hill, and 2) Claire Chennault, both as they would appear after being pulled into the USAAF, and have two right arm options: 1) holding a coffee cup, and 2) at rest. This figure was sculpted by Mike Good and cast by Alpine Miniatures (excellent quality). You'll also note that the kit also includes two sheets of decals to render the blood chits worn by the Flying Tigers on the backs of their jackets, and an array of command and squadron patches to not only replicate the jackets of either Hill or Chenault, but a variery of other CBI-based pilots. 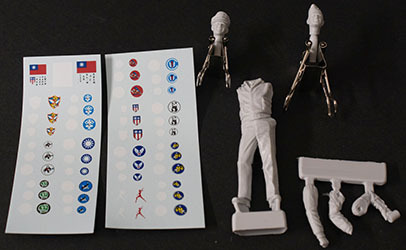 Kudos to Pacific Monograph to include these decals as so many good figures are issued without any markings to make them look accurate. This is the ideal figure to have either on its own, or standing alongside a 1/32 P-40 or other relevant subject.